Like businesses of all sizes, midmarket firms have an ongoing need to stimulate innovation and improve quality. Midmarket firms need to balance these requirements against a backdrop of limited scale, rapid market change and constraints on resources that can be dedicated to shaping the future, rather than reacting to the demands of the present. 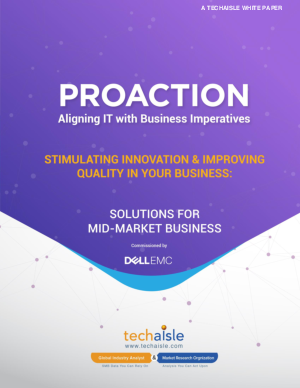 This Proaction Series report, commissioned by Dell, will address technologies best able to empower scarce resources as they help set new benchmarks for business performance. Download this report from Dell and Intel® to learn more.